The search box and alphabetical produce list on the right side of this page is your guide to the 900+ recipes. Each vegetable/fruit/herb section begins with a page on my approach to it and its particular characteristics. Recipes and tips are written with an eye toward flexibility, giving you ideas of how to substitute one vegetable for another (onions instead of shallots, turnip greens instead of spinach, etc. 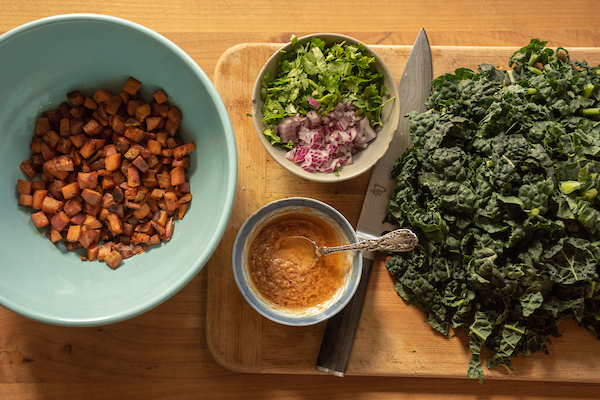 ), scale up or down, and creatively use what’s in your pantry so that pulling together dinner can be simple and satisfying. 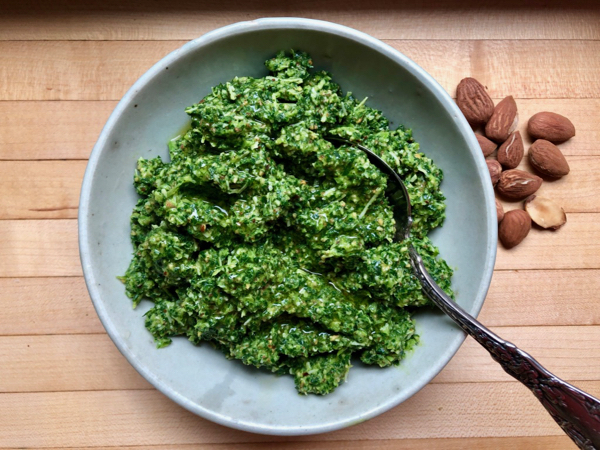 Kale to makes a delicious pesto! Toasting the almonds makes it particularly good but skip that step if you’re short on time and sub walnuts or hazelnuts if you’d like.